Community Blog - New & Improved Gifts with your order. New & Improved Gifts with your order. Everyone loves to receive gifts so at So Organic we like to give our customers a little something extra to say thank you for ordering. Spend £30 + and get Free UK Standard Delivery. Spend £50 + & get a Free Organic Night Cream worth £20 (+ Free UK Delivery). Spend £100+ and get a Free Organic Body Lotion (+ Free UK Delivery & a Free Organic Night Cream). 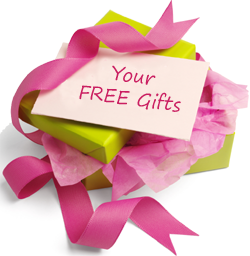 The Free Gifts are added to your basket automatically when your order reaches the right level. Please note the fragrances and brands we select for your gifts will change depending on the season and availability. We cannot guarantee a particular brand or fragrance. Other brand and department specific offers and promotions are unaffected and on occasion it may be possible to qualify for multiple gifts from various promotions in a single order. If you have any questions please contact us or call 020 8465 5600. We’re happy to help and would love to hear from you.